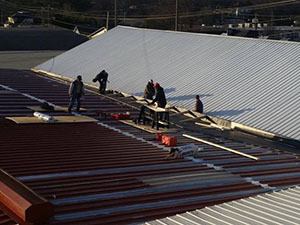 Whatever your industrial or commercial roofing needs, Capital Coating has the expertise to address them and do the job right! Give us a call today at (717) 442-0979. With so many roofing companies out there vying for your patronage, it can be difficult to separate the wheat from the chaff and find a contractor that is truly dependable and trustworthy. When selecting a roofing company, it is important to do your homework and find about a contractor’s track record and practices. For instance, is the company properly licensed and insured? Do they have a good reputation with customers in your area? Do they employ professionally trained technicians? Do they use proper safety practices? It’s comforting to know that you will always receive favorable answers to these and other important questions when the company you’re working with is Capital Coating! 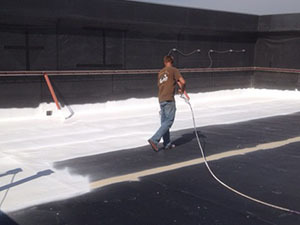 Whatever your commercial, industrial or residential roofing needs may be, you can count on the Capital Coating crew to deliver a job well done. We employ the best technicians, the best products, the best tools and the best techniques to meet all of your roofing needs. We aren’t finished until the client is fully satisfied! For all of your roofing needs great and small, you can rely on the team at Capital Coating to deliver quality workmanship in a timely fashion. Call us today at (717) 442-0979 for all of your roof-related needs!